Other Software: Play Store, Skype, YouTube, Facebook, Twitter, iReader etc. 2.Powered by the Android 4.4 KitKat operating system.Google preloaded games, which you can access thousands of free apps are isntantly.The tablet supports Skype video calling, Netflix, Facebook, YouTube,Twitter, iReader etc. 3. 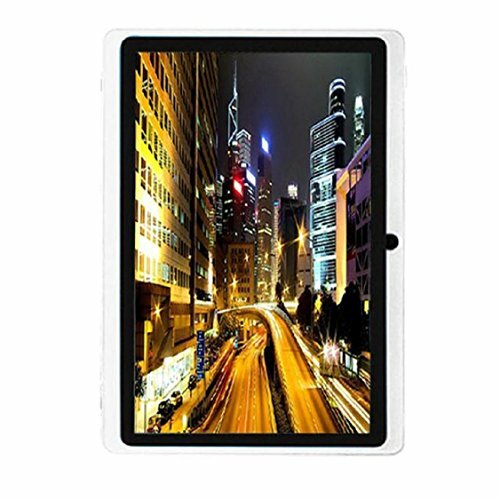 The HD 1024x600 high resolution 7'' display delivers crisp and clear content, making it a enjoyable experience for watching, reading or gaming. 4. With the super-portable size, you get a robust power in a device that can be taken everywhere. If you have any questions about this product by Egmy, contact us by completing and submitting the form below. If you are looking for a specif part number, please include it with your message.